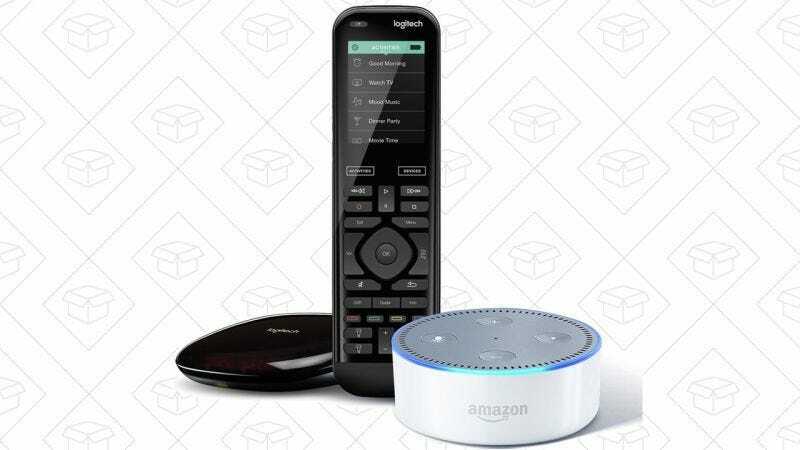 The new $50 Echo Dot is most useful for people who own compatible smart home gadgets, so to that end, Amazon’s once again offering big savings when you bundle the Dot with a compatible product. The bundle includes a Dot and a Logitech Harmony Elite remote for $288, or $60 less than buying them separately. You can use your Dot in conjunction with the remote (specifically the included Harmony Hub) to control your entire home theater with your voice. The future!